Can Calcium Lower Your Cholesterol? There are many health benefits of calcium, such as strengthening bones, but it could be heart-friendly, too. Some studies are finding that calcium lowers cholesterol. Calcium’s ability to lower cholesterol has been known for several years. People who live in areas with hard water are known to have a lower incidence of death and complications from cardiovascular disease than those who drink soft water, and it is believed that calcium may have something to do with this. Calcium supplements have been shown to slightly reduce blood pressure in some studies. Lowering cholesterol levels is the most recent finding, but studies are mixed about whether or not it really works. How Does Calcium Lower Cholesterol? Scientists really don’t know how calcium works. It is thought to work by binding to bile acids and cholesterol in the small intestine, similar to the way fiber and bile acid resins work. By binding to cholesterol in the small intestine, cholesterol is not absorbed into the blood and is instead excreted out of the body in the feces. What Do the Studies Suggest? The few studies that have looked at the cholesterol-lowering ability of calcium are widely varied but do show that at least 1000 mg of elemental calcium modestly lowers total cholesterol by about 2 to 4%. The calcium in each study was taken as one dose or separated into increments of 400 mg. Additionally, the studies looked at people with high and normal cholesterol levels, as well as individuals ingesting a Western or low-fat diet. In the studies where elemental calcium appeared to lower cholesterol levels, HDL and LDL cholesterol levels were mainly affected. In fact, current studies have shown that roughly one gram of calcium can raise HDL by between 1 and 5% and lower LDL by anywhere between 2 and 6%. Triglycerides were not affected in any of these studies. However, there were other studies that did now show any significant effect on cholesterol due to increased calcium consumption. While there have been some studies that suggest that elemental calcium may slightly lower cholesterol, there are other studies that suggest calcium has no significant effect on cholesterol. Because of this, using solely calcium to lower your cholesterol is not recommended. If you are looking to add calcium to your health regimen, you should consult with your healthcare provider. The recommended daily allowance for elemental calcium in adults is between 1000 and 1200 mg a day, with diet — rather than supplements — being the preferred source of calcium. This is roughly the same amount used in some of the studies looking at calcium’s ability to lower cholesterol. Calcium content is high in foods such as dairy products, leafy greens, and citrus fruits; however, supplements containing calcium are also widely available. 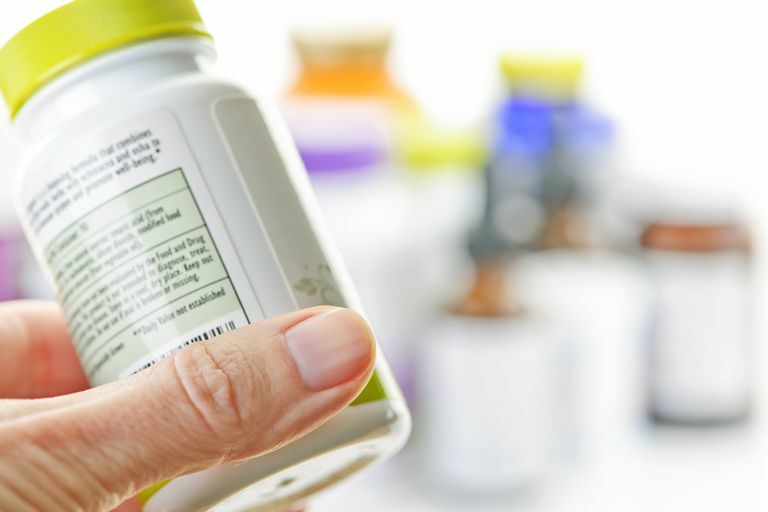 If you are taking calcium supplements, keep in mind that these studies measured elemental calcium, so be sure and read the labels of your calcium supplements to determine the amount of elemental calcium in each product. And more isn’t necessarily better — consuming too much calcium could lead to health problems. Bostich RM, Fosdick L, Grandits GA et al. Effects of calcium supplementation on serum cholesterol and blood pressure. Arch Fam Med 2000; 9:31-39. Ditscheid B, Keller S, and Jahreis Gerhard. Cholesterol metabolism is affected by calcium phosphate supplementation in humans. J Nutr 2005; 135: 1678-1682. Reid IR, Mason B, Bolland MJ et al. Effects of calcium supplementation on lipids, blood pressure, and body composition healthy older men: a randomized controlled trial. Am J Clin Nutr 2010;91:313-139. Dipiro JT, Pharmacotherapy: A Pathophysiological Approach., 9th edition. McGraw Hill Education 2014. Can Fenugreek Lower Your Cholesterol? Can Adding Strawberries to Your Diet Lower Your Cholesterol? Can Guggul Lower Your Cholesterol? Can Cinnamon Help Lower Your Cholesterol? Can Your Morning Cup of Joe Help Lower Your Cholesterol? Can Blueberries Help Lower Your Cholesterol? Can Adding Barley to Your Diet Help Lower Your Cholesterol? Can Tomatoes Help Lower Your Cholesterol? Can Eating One Handful of Walnuts Really Help Lower Your Cholesterol?